Variety reports that The House That Freddy Built will now be The Mansion Where Munchkins Murder, with news coming that New Line has just greenlit a new horror movie based on The Wizard Of Oz. 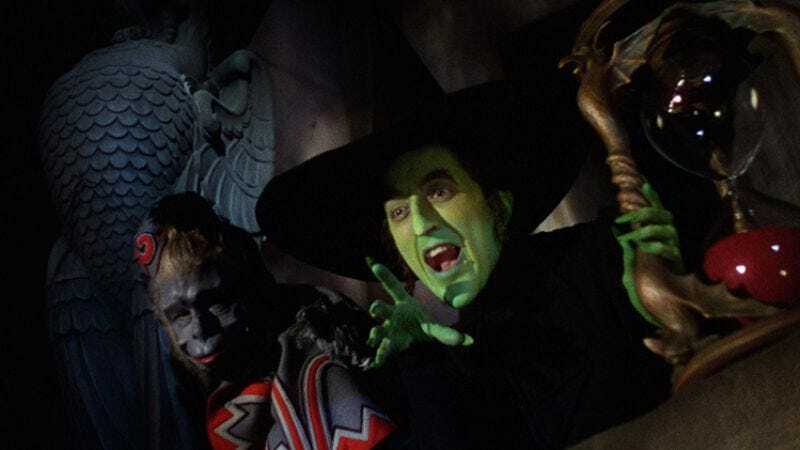 The Warner Bros.-owned studio has acquired a pitch from Black List screenwriter Mike Van Waes, offering up a horrific take on the Land of Oz, whose various villains will presumably fit right in with the studio’s roster of child murderers and creepy haunted dolls. Of course, L. Frank Baum’s magical kingdom is no stranger to the spooky, both intentional and not. (We’re looking at you, Return To Oz.) Oz last showed up in theaters, courtesy of Sam Raimi, back in 2013. Meanwhile, Emerald City, a gritty TV sequel to the franchise, is currently airing its first season on NBC.